There is so much to discover in the woods. See the cute hedgehog, the sly fox, wise owl and adorable bunny? The domino game Wonder in the woods is played by familiar and simple rules. 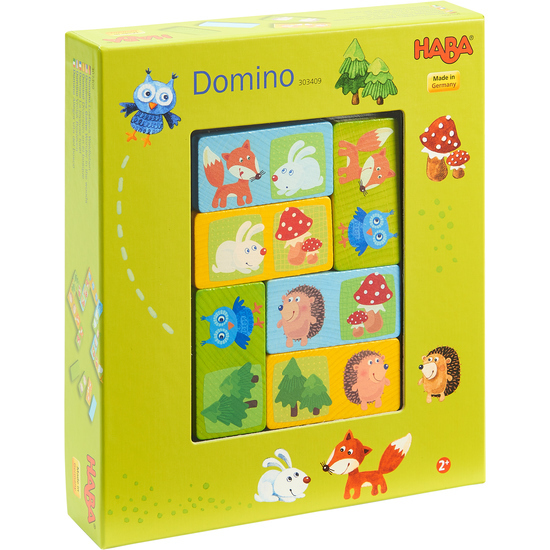 Sturdy wooden domino blocks, lovingly designed, bring endless playtime pleasure to even the youngest child.